TORONTO, Sept. 20, 2016 /CNW/ - Today Eataly announced plans to open its first Canadian location in early 2019 as an anchor tenant of the newly renovated Manulife Centre in the heart of Yorkville. Eataly, a vibrant Italian food marketplace including a mix of food markets, restaurants, and eateries will span three stories for a total space of 50,000 square feet. The Italian company, brought to the Americas in 2010 with the help of Mario Batali, Lidia and Joe Bastianich and Adam and Alex Saper, is partnering with the Selfridges Group and Terroni Restaurants for its entrance to Canada, leveraging local expertise to develop a truly distinct Toronto Eataly experience. Eataly is known for its unique offering – customers can shop for high quality products reflecting the biodiversity of Italy, eat at one of the many restaurants and counters, and learn about the stories behind those products – all within the same marketplace. Eataly is not a chain, it's a family, and each location is distinct and highlights the city and people who reside there. Commenting on the expansion into Canada, Eataly Founder Oscar Farinetti said: "Eataly Toronto will be spectacular. Firstly, the city of Toronto values high quality food. And we do too. Secondly this will be our first Canadian location, and with every first in a new market comes something full of excitement and adrenaline. Lastly, and above all, we are entering the market with people we fully trust and we share the same passions with. We can't wait to get to work and start this partnership!" 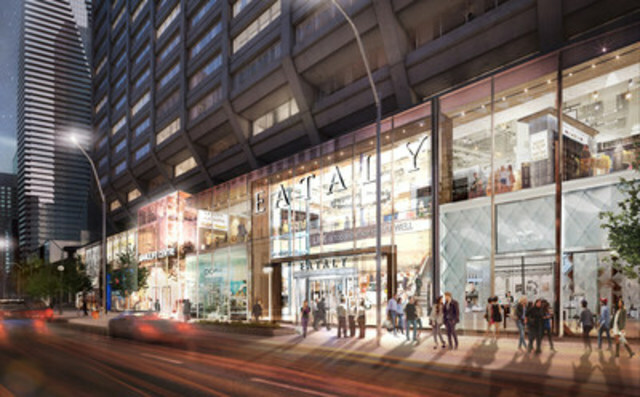 The launch of Eataly Toronto is part of a larger transformation of the Manulife Centre, which together with Holt Renfrew, reinforces Bloor and Yorkville as the ultimate destination for Toronto shoppers and food lovers. (External renderings attached are an artistic impression and are subject to change without notice.). Created by Oscar Farinetti, and brought to the Americas with the help of partners Mario Batali, Lidia and Joe Bastianich and Adam and Alex Saper, Eataly is the largest Italian marketplace in the world. From the opening of the first location in Turin in 2007, Eataly's philosophy has spread to the rest of the world: "Shop, Eat, and Learn." The marketplace offers a place where it is possible to discover high-quality food and drink at accessible prices. Consumers can experiment with new combinations of flavors at the various restaurants throughout the marketplace and shop for products, before learning more about the Mediterranean culture with educational courses on food, wine, and nutrition. 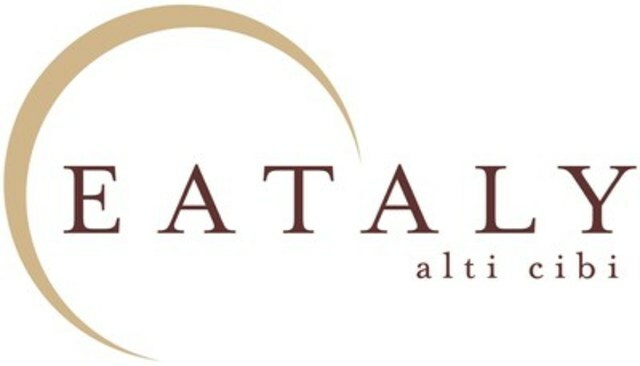 Eataly already has nearly 30 locations in Italy, Japan, Dubai, Turkey, Brazil, and the United States. Selfridges Group provides leading luxury shopping experiences for millions of customers through iconic, innovative and inspiring retail destinations. The Group consists of Brown Thomas in Ireland, Holt Renfrew in Canada, Selfridges in the UK and de Bijenkorf in the Netherlands. Founded in 1992 by Cosimo Mammoliti, the first Terroni opened on Toronto's Queen Street West as an authentic Italian coffee bar which also sold food staples from southern Italy. The Terroni philosophy has remained consistent to the original idea of utilizing only the finest quality ingredients in creating restaurants true to generations of Italian tradition and culture. The core business now includes seven restaurants in Toronto and Los Angeles along with two Sud Forno Italian bakeries. The Terroni passion for quality and devotion to traditional Italian culture extends into the Cavinona Wine Agency that hand selects Italian wines exclusively for the Terroni family of restaurants. Manulife has been investing in and managing direct core and core-plus real estate for more than 80 years. Operating as John Hancock Real Estate in the U.S. and Manulife Real Estate elsewhere, we proudly invest, own, develop and asset manage commercial real estate in major metropolitan cities across the globe. We leverage our fully integrated in-house capabilities to best serve our customers and investors while generating value for our stakeholders. Manulife Real Estate is the global real estate arm of Manulife and is a unit of Manulife Asset Management Private Markets where we extend our unique asset management capabilities for the benefit of institutional investors. As at June 30, 2016, the Manulife Real Estate portfolio totaled more than 62 million square feet with an AUM market value of C$19.8 billion (US$15.2 billion).